Objective: Verify the influence of menopausal symptoms on quality of life of women. 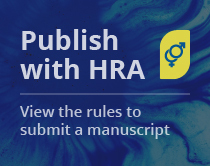 Method: Literature review through the Health Virtual Library using as strategy these search descriptors: women’s health, climacteric, menopause, change of life, quality of life, signs and symptoms, complaints and symptoms and clinical manifestations. Results: Our findings suggest that the climacteric symptoms corroborate with low self-esteem and decreased quality of life in women causing problems in their personal and professional relationships showing the importance of the role of health professionals, particularly nurses, in promoting educational strategies and supporting women in this stage of the women lives. Conclusion: The signs and climacteric symptoms can affect women quality of life and their biopsychosocial welfare suggesting that the presence of a qualified professional can alleviate and, in some cases, reverse the negative context. climacteric; nursing; climacteric symptoms; quality of life. 1. NOGUEIRA SL, GERALDO JM, MACHADO JC, RIBEIRO RCL. Distribuição espacial e crescimento da população idosa nas capitais brasileiras de 1980 a 2006: um estudo ecológico. Rev Bras Estud Popul. 2008;25(1):195-8. http://dx.doi.org/10.1590/S0102-30982008000100012. <br/><br/>2. REIS LM, MOURA AL, HADDA MCL, VANNUCHI MT, SMANIOTO FN. Influência do climatério no processo de trabalho de profissionais de um hospital universitário público. Cogitare Enferm. 2011;16:232-9. http://dx.doi.org/10.5380/ce.v16i2.20444. <br/><br/>4. Brasil. 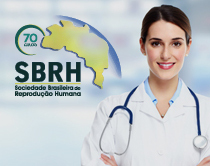 Ministério da Saúde. Secretaria de Atenção à Saúde. Departamento de Ações Programáticas Estratégicas. Manual de atenção à mulher no climatério/menopausa. Brasília: Editora do Ministério da Saúde; 2008. 192 p.
<br/><br/>5. FREITAS RF, FREITAS TF, VIEIRA DR, ROCHA NGR, SANTOS GS, REIS VMCP, et al. Qualidade de vida de mulheres climatéricas de acordo com o estado menopausal. Revista da Universidade Vale do Rio Verde. 2015;13(1):37-47. http://dx.doi.org/10.5892/ruvrd.v13i1.1840. <br/><br/>6. SERPA MA, LIMA AA, GUIMARÃES ACP, CARRILO MRGG, COURA-VITAL W, VELOSO VM. Fatores associados associados à qualidade de vida após menopausa. Reprod Clim. 2016;99:1-6. https://doi.org/10.1016/j.recli.2016.04.001. <br/><br/>7. MIRANDA JS, FERREIRA MLSM, CORRENTE JE. Qualidade de vida em mulheres no climatério atendidas na Atenção Primária. Rev Bras Enferm. 2014;67(5):803-9. PMid:25517676. http://dx.doi.org/10.1590/0034-7167.2014670519. <br/><br/>8. SOUZA MT, SILVA MD, CARVALHO R. Integrative review: what is it? How to do it? Einstein. 2010;8(1):102-6. http://dx.doi.org/10.1590/s1679-45082010rw1134. <br/><br/>9. CAMANHO GC. Nível de evidência. Rev Bras Ortop. 2009;44:1-2. http://dx.doi.org/10.1590/S0102-36162009000600001. <br/><br/>10. SUSSMAN M, TROCIO J, BEST C, MIRKIN S, BUSHMAKIN AG, YOOD R, et al. Prevalence of menopausal symptoms among mid-life women: findings from electronic medical records. BMC Womens Health. 2015;15(1):58. PMid:26271251. http://dx.doi.org/10.1186/s12905-015-0217-y. <br/><br/>11. BIEŃ A, RZOŃCA E, IWANOWICZ-PALUS G, PAŃCZYK-SZEPTUCH M. The Influence of Climacteric Symptoms on Women’s Lives and Activities. Int J Environ Res Public Health. 2015;12(4):3835-46. PMid:25854298. http://dx.doi.org/10.3390/ijerph120403835. <br/><br/>12. LOOBY SE, SHIFREN J, CORLESS I, ROPE A, PEDERSEN MC, JOFFE H, et al. Increased Hot Flash Severity and Related Interference in Perimenopausal HIV-infected Women. Menopause. 2014;21(4):403-9. PMid:23820600. <br/><br/>13. BACCARO LF, BOIN IF, COSTA-PAIVA L, PINTO-NETO AM. Quality of life and menopausal symptoms in women with liver transplants. Rev Bras Ginecol Obstet. 2013;35(3):103-10. PMid:23538468. http://dx.doi.org/10.1590/S0100-72032013000300003. <br/><br/>14. DUFFY OK, IVERSEN L, HANNAFORD PC. The impact and management of symptoms experienced at midlife: a community-based study of women in northeast Scotland. BJOG. 2012;119(5):554-64. PMid:22332916. http://dx.doi.org/10.1111/j.1471-0528.2012.03276.x. <br/><br/>15. LORENZI DRSD, CATAN LB, CUSIN T, FELINI R, BASSANI F, ARPINI AC. Caracterização da qualidade de vida segundo o estado menopausal entre mulheres da Região Sul do Brasil. Rev Bras Saude Mater Infant. 2009;9(4):459-66. http://dx.doi.org/10.1590/S1519-38292009000400011. <br/><br/>16. IM EO, LEE BI, CHEE W, DORMIRE S, BROWN A. A national multiethnic online forum study on menopausal symptom experience. Nurs Res. 2010;59(1):26-33. PMid:20010042. http://dx.doi.org/10.1097/NNR.0b013e3181c3bd69. <br/><br/>17. VALADARES AL, PINTO-NETO AM, CONDE DM, OSIS MJ, SOUSA MH, COSTA-PAIVA L. Depoimento de mulheres sobre menopausa e tratamento de seus sintomas. Rev Assoc Med Bras. 2008;54(4):299-304. PMid:18719786. http://dx.doi.org/10.1590/S0104-42302008000400013. <br/><br/>18. PAINOVICH JM, SHUFELT CL, AZZIZ R, YANG Y, GOODARZI MO, BRAUNSTEIN GD, et al. A pilot randomized, single blind, placebocontrolled trial of traditional acupuncture for vasomotor symptoms and mechanistic pathways of menopause. Menopause. 2012;19(1):54-61. PMid:21968279. http://dx.doi.org/10.1097/gme.0b013e31821f9171. <br/><br/>19. WHITELEY J, DIBONAVENTURA MC, WAGNER JS, ALVIR J, SHAH S. The impact of menopausal symptoms on quality of life, productivity, and economic outcomes. J Womens Health. 2013;22(11):983-90. PMid:24083674. http://dx.doi.org/10.1089/jwh.2012.3719. <br/><br/>20. JAFARI F, HADIZADEH MH, ZABIHI R, GANJI K. Comparison of depression, anxiety, quality of life, vitality and mental health between premenopausal and postmenopausal women. Climacteric. 2014;17(6):660-5. PMid:24673509. http://dx.doi.org/10.3109/13697 137.2014.905528. <br/><br/>21. LÓPEZ-ALEGRÍA F, LORENZI DRS. Síntomas climatéricos y calidad de vida de usuarias de consultorios de atención primaria de salud, Santiago. Rev Med Chil. 2011;139(5):618-24. PMid:22051713. http://dx.doi.org/10.4067/S0034-98872011000500009. <br/><br/>22. BLÜMEL JE, CHEDRAUI P, BARON G, BELZARES E, BENCOSME A, CALLE A, et al. Menopausal symptoms appear before the menopause and persist 5 years beyond: a detailed analysis of a multinational study. Climacteric. 2012;15(6):542-51. PMid:22530706. http://dx.doi.org/10.3109/13697137.2012.658462. <br/><br/>23. HAUTAMÄKI H, HAAPALAHTI P, SAVOLAINEN-PELTONEN H, TUOMIKOSKI P, YLIKORKALA O, MIKKOLA TS. Premenstrual symptoms in fertile age are associated with impaired quality of life, but not hot flashes, in recently postmenopausal women. Menopause. 2014;21(12):1287-91. PMid:24824645. http://dx.doi.org/10.1097/GME.0000000000000247. <br/><br/>24. TERAUCHI M, HIROSE A, AKIYOSHI M, OWA Y, KATO K, KUBOTA T. Subgrouping of Japanese middle-aged women attending a menopause clinic using physical and psychological symptom profiles: a cross-sectional study. BMC Womens Health. 2014;14(1):148. PMid:25420911. http://dx.doi.org/10.1186/s12905-014-0148-z. <br/><br/>25. BRUCE D, RYMER J. Symptoms of the menopause. Best Pract Res Clin Obstet Gynaecol. 2009;23(1):25-32. PMid:19056320. http://dx.doi.org/10.1016/j.bpobgyn.2008.10.002. <br/><br/>30. CABRAL PUL, CANÁRIO ACG, SPYRIDES MHC, UCHÔA SAC, ELEUTÉRIO Jr J, AMARAL RLG, et al. Influência dos sintomas climatéricos sobre a função sexual de mulheres de meia-idade. Rev Bras Ginecol Obstet. 2012;34(7):329-34. PMid:22948506. http://dx.doi.org/10.1590/S0100-72032012000700007. <br/><br/>32. POLISSENI AF, ARAÚJO DAC, POLISSENI F, MOURÃO Jr CA, POLISSENI J, FERNANDES ES, et al. Depressão e ansiedade em mulheres climatéricas: fatores associados. Rev Bras Ginecol Obstet. 2009;31(1):28-34. PMid:19347226. http://dx.doi.org/10.1590/S0100-72032009000100006. <br/><br/>36. AVELAR LFS, OLIVEIRA MNS Jr, NAVARRO F. Influência do exercício físico na sintomatologia de mulheres climatéricas. Rev Bras Geriatr Gerontol. 2012;15(3):537-45. http://dx.doi.org/10.1590/S1809-98232012000300014.